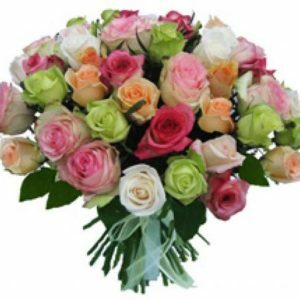 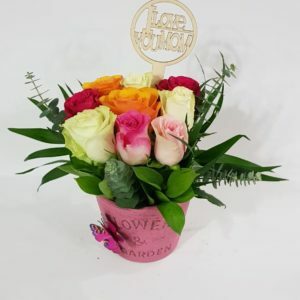 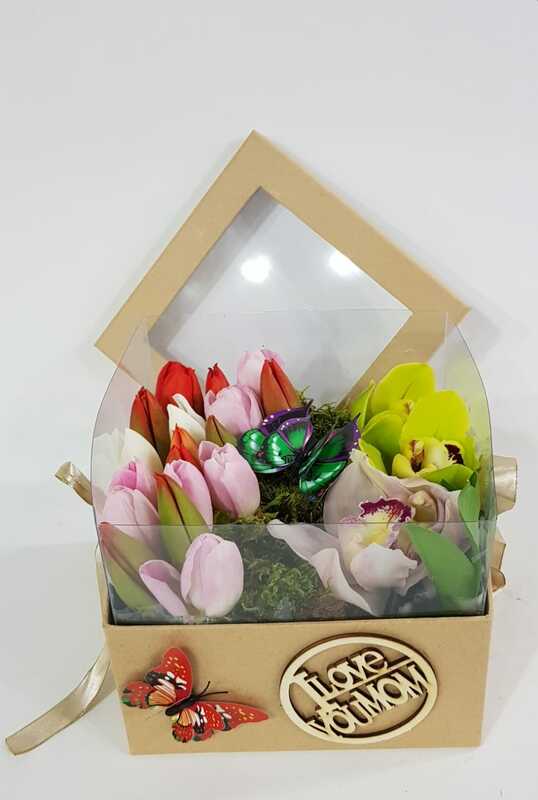 Sweet flowers combination: Color tulips on winter and Roses on summer time , Eustoma, Eucalyptos, Aspedistra in a porcelain pot. 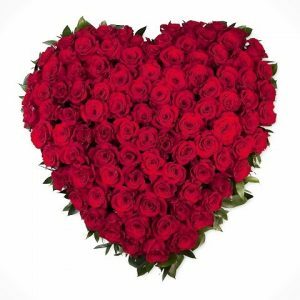 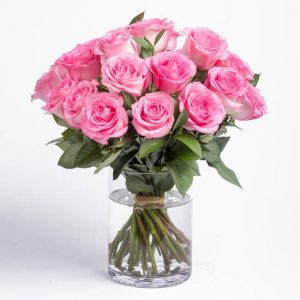 Create a dazzling display of elegance your special recipient will treasure. Order it now online, send it anywhere in Lebanon and enjoy our same day delivery service. 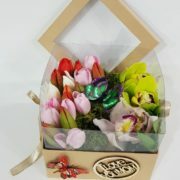 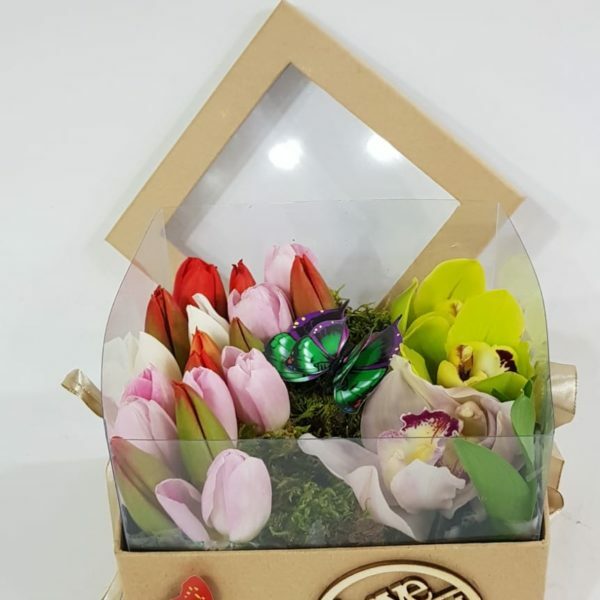 Sweet flowers combination: Orchid and Color tulips in Elegant box. 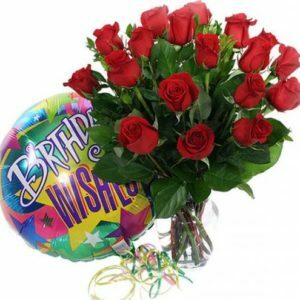 Simply grand in color and style, this artisan design brings together a favorite color combination and succeeded in making it both modern and sophisticated. 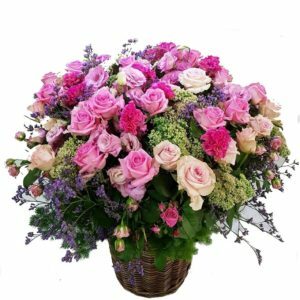 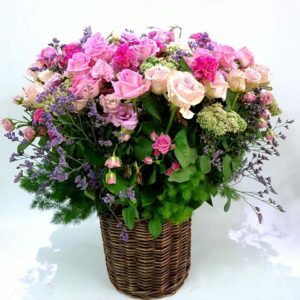 A celebration of life, love, and every wonderful moment along the way, this bright and showy arrangement exhibits a soft fragrance from it’s blooms. 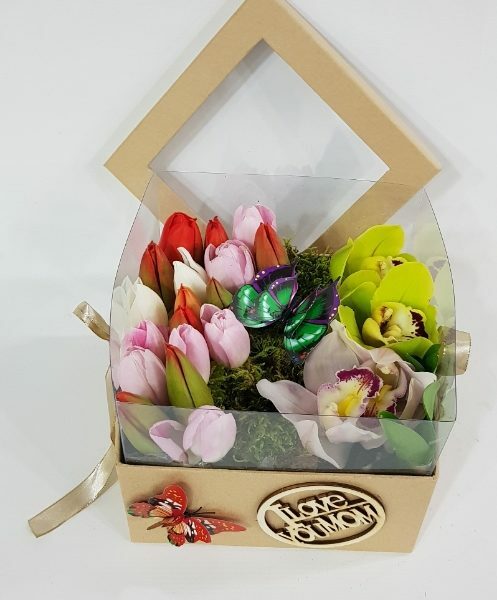 When you send this orchid tulip box you send happiness. 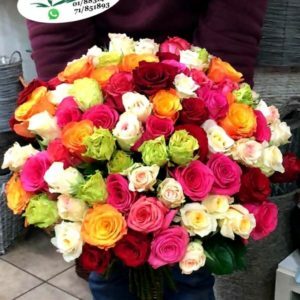 Order it today and get delivered the same day anywhere in Lebanon.